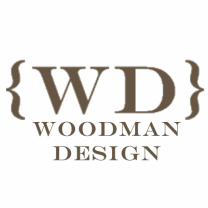 Woodman Design is a full service interior design company based in Merrimack, NH. Started in August of 2012, Woodman Design offers design services ranging from color consultations to full interior design planning. Finding the perfect blend of materials, textures, fixtures, and furniture make all the difference in a home's interior. Woodman Design works with the client, developing a full design schematic specific to each project. Projects range from small to large, but in every one, every single detail is accounted for. The mission of Woodman Design is to create cohesive and livable interior environments that not only function for day-to-day life, but also make beautiful surroundings. Design has always been a passion of Abby's. Since she was a young girl, Abby has always dabbled in arts and crafts, painting, and given her two-cents (or more) about her parent's home interior and decorating. In undergrad she wasn't sure what she wanted to do, so Abby decided to study one of her favorite subjects: science. Abby graduated from Saint Anselm College in Manchester NH with an honors B.A. in Natural Science and a minor in Ancient Greek. (She has an eclectic mind.) In addition to the required theology, philosophy, humanities, language and science courses, Abby took several classes from the art department as well. Some of these classes included: traditional black and white photography, color & design, oil painting and an introduction to architecture. After graduation Abby took two years to herself deciding what she should do. After working several jobs (none of which were in science), and being intensely involved in home renovation projects, Abby finally decided she should combine her love of physics with her aptitude for art. Abby graduated from Drexel University in Philadelphia with a Masters in Interior Architecture + Design and developed her style and refined her skills. Abby loves many different styles - anything from traditional to opulent, rustic to refined, and everything in between. 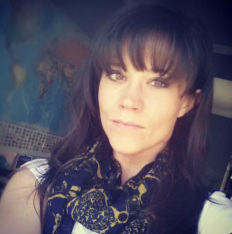 Her goal is to create interiors that not only please clients visually, but also functionally. An interior is only as beautiful as it is able to be lived in.